MENLO PARK, Calif. & PARIS & LYON, France--(BUSINESS WIRE)--Uavia announces today the closing of its first round of financing with Airbus Ventures, industry-backed fund Sofimac Innovation, Bpifrance as well as a pool of seasoned entrepreneurs and business leaders who were historical shareholders in the company. Uavia’s patented cloud control technology enables real-time remote supervision of autonomous robots and drone fleets deployed on different sensitive industrial sites, to handle missions such as crisis management, safety and security, routine and predictive maintenance, key asset supervision and 2D-3D cartography. 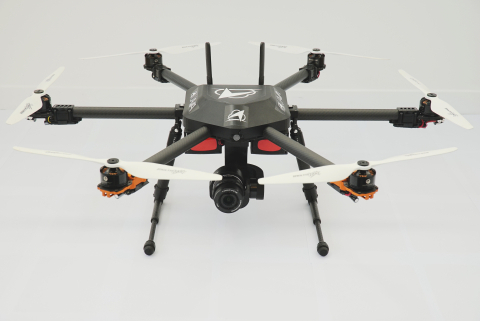 Uavia Robotics Platform allows industrials to connect their drones and robots to the cloud though any mobile-IP network available, with the highest level of security. This collaborative platform allows for multiple users across the world to control heterogeneous fleets of drones and robots while having data processed, analyzed and shared in real-time. Uavia Skyguard « smartdrones » and DroneDock charging stations, connected through Uavia Robotics Platform, constitute the company’s first end-to-end solution addressing a wide variety of industrial use cases where reactivity or short-cycle operations are key. « This financing round allows us to reinforce our capabilities and our technical teams (Web & Data, Embedded Intelligence, Data processing, Robotics) to further develop our technological advance. We’re also scaling our commercial operations to serve industrial sectors on which we observe a global traction », declares Clement Christomanos, CEO and co-founder of Uavia. « Our capital is now structured around renowned and complementary actors committed to our company’s acceleration ». « We have been convinced by Uavia’s right mix between technology and strategic vision », said François Auque, Chairman of Airbus Ventures. « Uavia has unlocked multiple technological barriers which will allow drones and other robots to become connected and safer, and also to be involved in real-time collaborative use cases. Uavia Robotics Platform matches today’s needs of major industries and will become the center of a world-class applicative robotics ecosystem ». The company simultaneously announced that Pierre Vilpoux, Industry and AI pioneer who had been previously advising the founders, has joined the executive team as Chief Business Officer, to handle worldwide commercial operations and partnerships. “I am proud and delighted to join such a talented and ambitious team”, says Pierre Vilpoux. “Having worked closely with the founders over the last year, it seemed natural that we should go further together as a team to make Uavia the worldwide leader of connected robotics platforms”. Uavia was created in 2015 by Clément Christomanos (CEO), Pierre Pelé (CTO Embedded Intelligence) and Luc Clément (CTO, Web & Data). The company has grown rapidly and is now employing 20 people in Paris. Uavia has won several innovation prizes in France and internationally, starting with the « Entrepreneurship Projects Challenge » from French incubator IMT Starter in 2014, which led to the company incorporation, and the prestigious « Grand Prix de l’Innovation de la Ville de Paris » in 2016. Airbus Ventures is an early stage venture capital group investing in disruptive and innovative technologies that will set the course for ground-breaking innovation in mobility, security, and the future of flight. Airbus Ventures is the venture arm of Airbus, the European multinational aerospace and defense corporation.